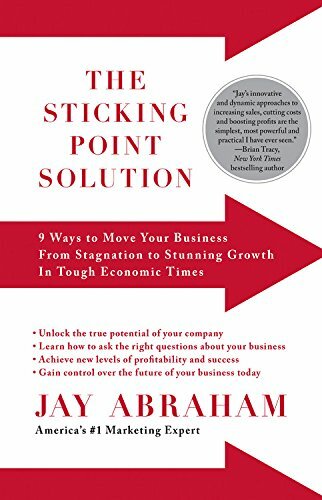 As founder and CEO of Abraham Group, Inc., in Los Angeles, California, <b>Jay Abraham</b> has spent the last twenty-five years solving problems and significantly increasing the bottom lines for over 10,000 clients in more than 400 industries worldwide. Jay has won high praise as a marketing genius in <i>USA Today</i>, the <i>New York Times</i>, the<i>Los Angeles Times</i>, <i>Washington Post</i>, <i>San Francisco Chronicle</i>,<i>OTC Stock Journal</i>, <i>National Underwriter</i>, <i>Entrepreneur Success, Inc.</i>, and many other publications. Jay&#x2019;s clients range from business royalty to small business owners, many of whom acknowledge that his efforts and ideas have led to an increase in profits ranging into the millions of dollars. He lives in Los Angeles.